Shorts were a staple in my fifth grade fall wardrobe. I had tweed versions, wool flannel versions, corduroy versions. I wore them with button down oxfords and argyle sweater vests. A few seasons ago, cold-weather shorts came back. Shorts in sequins. Shorts in satin. Shorts in leather. 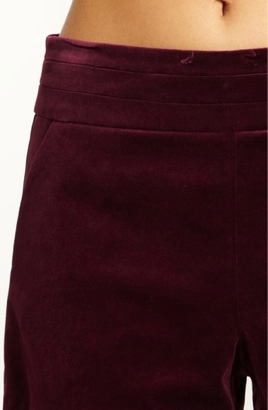 And now these gorgeous shorts in rich, merlot-colored velvet. I’ve been a fan of Trina Turk for a long time, and love the L.A. brand for it’s signature funky prints. But these lucious velvet shorts make me think “twist” on the usual holiday dressing. 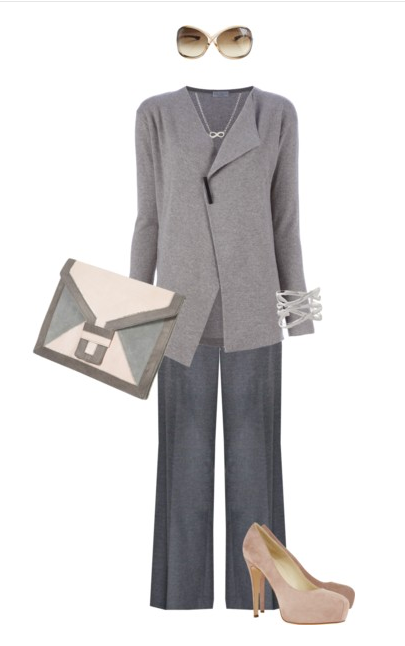 I love how they are shown here with a feminine blouse and dressy cardigan, but I can also see them dressed down with a chunky cowl-neck sweater and fun flats. These are oh so irresistable!